The Kia Forte is a compact sedan with mid-size interior space and above average fuel economy. The Forte replaced the Spectra in 2010 and immediately gave Kia credibility among small compacts with the Forte's better shape and updated hardware. 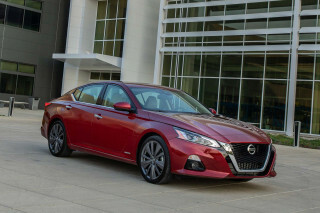 A new Forte bowed in early 2018 for the 2019 model year. The redesigned Forte channels its sporty Stinger big brother to bring its good looks to the masses. The redesigned compact sedan's new proportions see it look more hunkered down—and maybe that's about where the similarities end. 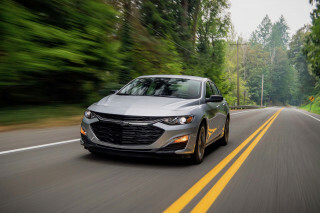 Where the Stinger is a rear-drive sports car designed to be a cut-rate Audi A7 Sportback, the 2019 Forte will trade on good fuel economy and a roomier interior beyond the outgoing model. Such is the mainstream compact four-door's life. Offered initially in FE, LXS, S, and EX trim levels, the latest Forte has grown considerably over its predecessor. Its overall length is up 3.6 inches to 182.7 inches, with much of that devoted to improved interior space. Its dashboard has been pushed toward the windshield for the illusion of even more room. It's marginally taller than its predecessor, even though the Forte's new exterior styling looks more "sports sedan" than "dowdy compact. 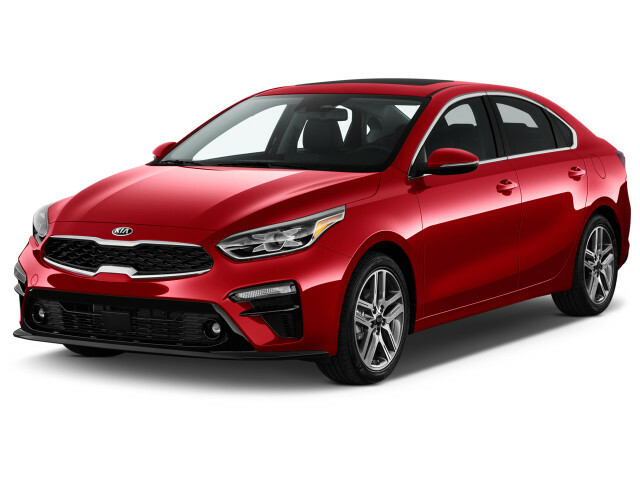 The biggest Stinger design cue is the Forte's long hood, made possible by Kia's decision to push back the compact sedan's windshield roof pillar base back by nearly half a foot compared to the outgoing Forte. An 8.0-inch touchscreen for infotainment is standard equipment on the Forte and it's Apple CarPlay and Android Auto compatible. Under its long hood, the 2019 Forte is fitted with a less-than-sporty 147-horsepower, 132 pound-feet of torque 2.0-liter inline-4 that uses tech normally reserved for hybrids to eke out a few mpg rather than extra power. Its engine runs on the Atkinson cycle, which like the eponymous diet, cuts down on consumption. Additionally, a continuously variable automatic transmission (CVT) takes the place of last year's conventional automatic. A 6-speed manual sticks around for the FE trim level. Surprisingly, it's the transmission that sets the Forte apart from its Hyundai Elantra sibling that sticks with conventional automatics. CVT versions earn a 35 mpg combined fuel economy figure. Kia finally made advanced safety tech standard in the Forte, including automatic emergency braking. The first generation lasted a short 4 years, with a new and redesigned version launched in 2014. The 2010-2013 Forte 4-door sedan and two-door Forte Koup shared little sheet metal. Both were neatly and handsomely styled, elevating Kia from the bland-box lines it had been known for. The standard engine was a 156-horsepower, 2.0-liter inline-4 used in the base LX and mid-range EX models, whereas the sportier, top-line SX model got a 173-hp, 2.4-liter inline-4. For the 2010 and 2011 model years, LX and EX Fortes came standard with a 5-speed manual gearbox; a behind-the-times 4-speed automatic was optional. The SX had a 6-speed manual standard, with a 5-speed auto available as an upgrade. In this generation, the Forte started with a base price below $14,000 and was well-received. Solid performance over the next several years helped put Kia back into the small-car conversation with the segment's big players. All of those original Forte models featured Bluetooth pairing, Sirius Satellite Radio, and steering wheel controls with voice activation. The mid-range EX model added air conditioning and various power accessories; the SX model got a sportier suspension tune and flashy 17-inch alloy wheels. The few options included a power sunroof, leather seats, and a Convenience Package that bundled several upgrades into the base LX. The 2012 model year brought some notable improvements to the Forte. All models were equipped with either 6-speed manual or 6-speed automatic transmissions, with fuel economy ratings of 26/36 mpg for most models. There was also a new Technology Package that brought navigation with SiriusXM Traffic, plus automatic climate control and push-button start. The Forte Koup and Forte5 hatchback were offered with the same powertrain options as their sedan sibling, although they did without the base-level LX trim. Starting with the EX trim, the coupe and hatch came with standard A/C; power windows and locks; and a 6-speaker stereo with AM/FM/CD/MP3/Satellite capabilities as well as USB and aux-in ports. With a new model around the corner, the 2013 Forte lineup brought relatively few changes. 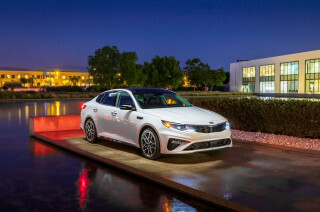 The redesigned 2014 Kia Forte sedan made its way to showrooms in the spring of 2013, while the Koup two-door and five-door followed shortly after. That Forte is longer, lower, and wider than its predecessor, with 2 inches more in the wheelbase, expanding interior room. It came in two basic trim levels: the base LX and the high-end EX, each with its own engine. A mid-level S model was added for 2017. The 148-hp, 1.8-liter inline-4 used in the Forte LX for 2014-2016 was replaced with a 147-hp 2.0-liter inline-4 for the 2017 model year. A 6-speed manual is standard on the LX, with a 6-speed automatic optional. The Forte EX upgrades to a 173-hp, 2.0-liter 4 that is paired with the 6-speed automatic only. All models use electric power steering. Today's Fortes offer better fuel efficiency and much more handsome styling than their predecessors. The models, and Kia in general, have made big strides in infotainment, with the best system included with navigation. All Forte sedans have air conditioning, satellite radio, heated outside mirrors, and steering-wheel audio controls. 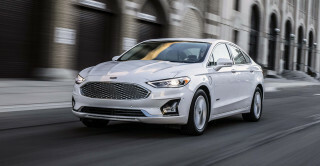 The Forte EX adds standard keyless entry, a cooled glovebox, a rearview camera, and Kia's UVO connectivity and infotainment system. Kia made few changes to the Forte for 2015, and gave it a slightly updated nose for 2017 along with the revised base engine. 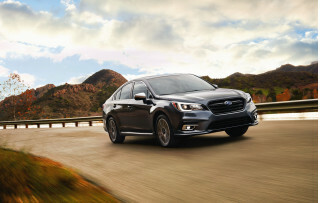 Fuel-economy ratings have varied over the years, with the latest models ranging from 28 to 32 mpg combined, hardly at the top of the efficiency heap among compact sedans. The 2016 model year brought a new base audio system, and 2017 an added option package of active-safety features. For 2017, Kia slightly restyled the Forte, and fitted a new 4-cylinder engine to the lineup—one shared with the new Hyundai Elantra. I would consider another car. Excellent gas mileage. Good handling and lines. Nice clean, simple interior. Surprising room. Cons for me: Car weight creates issues in high wind. Can not see hood. And no real cabin noise reduction. I have had my car for one month. I am enjoying it. I went from a Kia Sportage (2001) which I loved so this is quite a change. A lot lower. I am concerned that the front is so low that I will really pull off... I have had my car for one month. I am enjoying it. I went from a Kia Sportage (2001) which I loved so this is quite a change. A lot lower. I am concerned that the front is so low that I will really pull off the fender if I get too close to cement markers in parking lots and go down rocky roads.